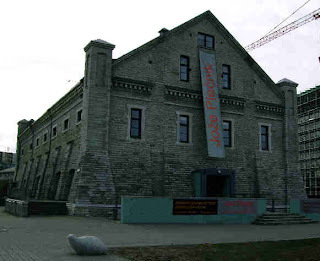 This building, now the Estonian Museum of Architecture, but was once a storage building for shed. It lies in the heart of the Roterman's district close to the port of Tallinn. It is a reminder that although Tallinn's trade was at its peak in the later medieval period, its docks remained a key factor in the 19th century prosperity of the city. Even today over 80% of Russia's trade through the Baltic goes through Tallinn. 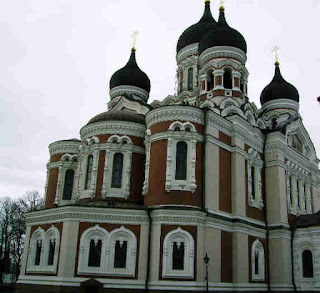 The Orthodox Cathedral of Alexander Nevski which lies in front of the Estonian parliament house on the Toompea. It was built in 1900. Its dedication to Alexander Nevski, the Russian czar, whose remains lie in St Petersburg, was a clear political decision. 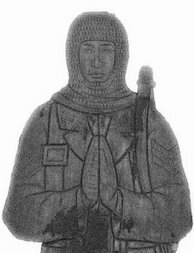 Nevski defeated a Livonian army on the eastern borders of Estonia in 1242 at Lake Peipus. In Russia this has long been seen as a highly symbolic victory by Russians over military agression from Europe, and a victory over the Catholic church by Orthodox Christianity.